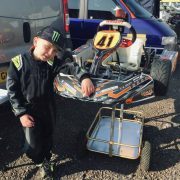 PSP Saltash are pleased to sponsor Charlie Lomas for his first Go Karting series. We wish him lots of luck and success. PSP colleagues do extraordinary things for charity. 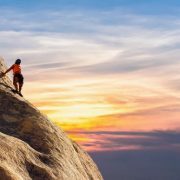 Over the next 12 months a number of our PSP colleagues will be taking on extraordinary personal challenges for charity. First up (and down) is Saltash Account Executive, Will Bailey who is taking part in a sky dive on 30 March to raise money for local hospice St Luke’s. Later in the year on 31 August, it is the turn of our Health Insurance Adviser, Sarah Gillies, who is taking on the challenge of trekking a marathon through Salisbury taking in the sites of Old Sarum and Stonehenge for Alzheimer’s Society. We wish them all luck. In addition to these one off events, other colleagues work throughout the year volunteering time to help their local communities. Britta Ohlsen, Commercial Account Handler at our Bridgwater office, volunteers time for Mind in Somerset. Whilst Sophia Hennequin, Account Handler at Torquay is a Dementia Friend providing support for families, who have a member living with dementia. http://www.pspgroup.co/wp-content/uploads/2019/01/pexels-photo-461593.jpg 333 500 Sarah Gillies http://www.pspgroup.co/wp-content/uploads/2018/01/PSP-Group-Logo_1@4x.png Sarah Gillies2019-01-16 16:32:562019-02-08 10:03:15PSP colleagues do extraordinary things for charity. As the first cold snap of the season hits the UK you may need to start thinking about taking some steps to protect yourself and your property from the worse of the weather. 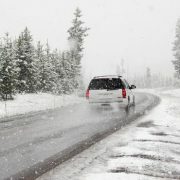 Whether it is how snow and freezing temperatures can affect your building or preparing to drive in wintery conditions. Read our Winter Risk Management Bulletin for helpful hints and tips on staying safe throughout the season. 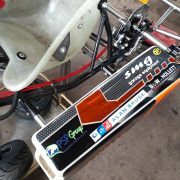 http://www.pspgroup.co/wp-content/uploads/2018/11/winter-car.jpg 350 654 Sarah Gillies http://www.pspgroup.co/wp-content/uploads/2018/01/PSP-Group-Logo_1@4x.png Sarah Gillies2018-11-23 15:56:402018-11-23 15:56:40Is your business ready for winter? 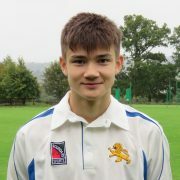 The Torquay office of PSP Group are pleased to sponsor James Rowe, as part of the Devon County under 15 Cricket team. In February 2019, the team will once again be heading out on tour to South Africa. The club have been taking a team out to South Africa since 2002. 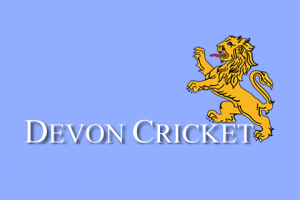 This gives an opportunity for the squad to widen their cricket experience, playing competitive opponents in unfamiliar conditions. The tour schedule takes in a variety of matches, including the opportunity to take part in a Day/Night Game. As the tour sets off we will keep up to date with the squad and James’ progress and wish them well and every success. 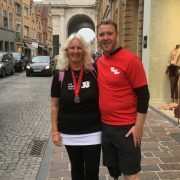 Private clients account handler, Jane Tutte joined the challenge with charity ABF The Soldiers Charity, to walk 100km along the WW1 frontline from Arras in France to the Menin Gate in Ypres, Belgium. Jane says ” I support a charity called ABF The Soldiers Charity. It was formerly known as ‘A Benevolent Fund’ which was set up in 1944 and is the National Charity of the British Army which supports soldiers, veterans and their immediate families, for life. I was privileged to walk with some amazing people who raise a great deal of money for this charity but also, on this occasion, I walked with an ex soldier called Phillip ‘Barney’ Gillespie, an ambassador and benefactor of the charity. Barney was a soldier in the Royal Irish Regiment and four months into his third tour in Afghanistan, whilst out on patrol, Barney stepped on an Improvised Explosive Device (IED). As a result of the explosion he lost his right leg. This didn’t stop Barney continuing with his life and has been helped along the way by the ABF The Soldiers Charity. Jane has already signed up for next years challenge for the charity a 100km walk along the Normandy Beaches. 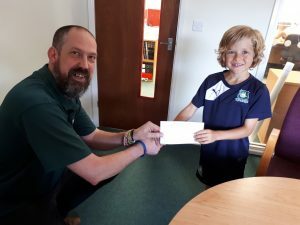 Harry and the team are continuing their successful season, taking part in a tournament at the end of the year, which included teams form Exeter City, Cheltenham, Bristol Rovers, Yeovil Town and Forest Green. Argyle’s final against Bristol Rovers saw the them win the tournament with a 4-3 win over Rovers. A fixture break over Christmas, did not mean a let up in training with the team also taking part in friendly matches. The academy fixtures started again in February with a 5-1 win against Walsall, in which Harry scored 4 goals. Harry continued his goal scoring with two goals in an away match against Oxford United. The schedule continues for the rest of the season with trips away to Bournemouth and Derby County before a number of home games. 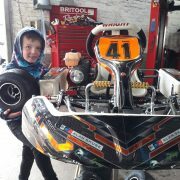 Harry is doing well and enjoying the experience of being a member of the Academy. Recently the team have beaten local rivals Exeter 4 -1 and success at Torquay United along with trips to Yeovil Town and Newport County. 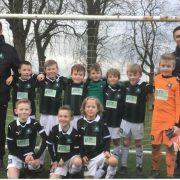 Harry has also had the opportunity to play for the under 10’s team against Newport County where he again got on the score sheet. This month sees trips to Swindon Town and Cheltenham before a home game against Bristol Rovers, followed by a well earned Christmas break. Harry kicks off his first football season at Plymouth Argyle Academy scoring two goals against tough opposition, Cardiff City. Unfortunately though, the game ended in defeat for Plymouth. The pre-season training through the summer was very busy and the highlight was attending a session with the Plymouth Argyle 1st Team. The squad have received their training kits and will be looking forward to receiving their formal match kit at a presentation event at Home Park. The next fixture sees the team travel to Southampton, where they will take part in a mini tournament with the full season of fixtures due to start in September. 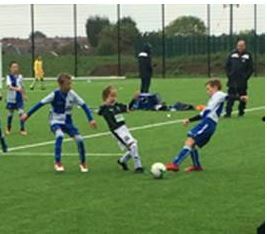 The Saltash office of PSP Group are pleased to be helping new footballer Harry. Harry really loves football and through his hard work and dedication has been selected to join the Plymouth Argyle Football Club academy. He will be training three times a week. 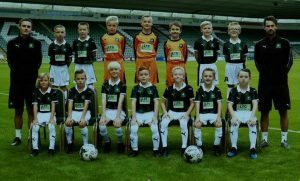 In addition to playing matches throughout the south of England representing Plymouth Argyle Football Club, as part of the Under 9’s squad. We wish him and his whole team luck for the season and look forward to following his progress through the academy. 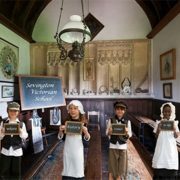 Karen McCormack is a trustee and volunteer at the Sevington Victorian Project in Grittleton, a Victorian school room that brings the Victorian era alive for school groups from around the area. 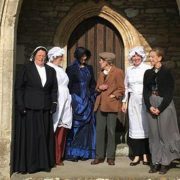 The project is currently raising funds to improve their cloakroom facilities and pathways to make visiting the school easier for people with limited mobility. As part of the fundraising Karen had entered the project into the Aviva Community Fund Competition for 2017 to find out more about the project and vote. 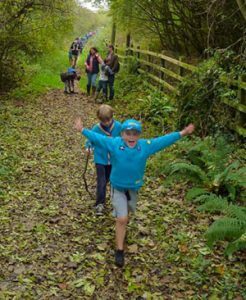 Sarah Gillies, as Akela of 2nd Saltash Cub pack joined Beaver and Cub Scouts from 2nd Saltash to take part in the BBC Countryfile Ramble to raise money for BBC Children in Need. 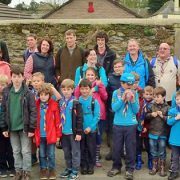 The group of young people, their parents, pet dogs and leaders set off along the pathways and bridleways of Saltash taking in the sites around the town and surrounding countryside. The Beavers and Cubs achieved elements of a number of their activity and challenge badges whilst having fun and raising funds for Children in Need. 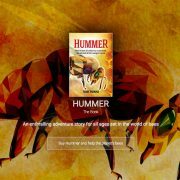 Terry Parkins first started telling his stories of the adventures of Brenden, Laser, Casper and Old Wise Bee ‘Hummer’ to entertain his children, who later encouraged him to develop the short stories into a more complex and expansive tale. 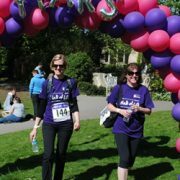 Huge congratulations to Lisa Flanagan and Samantha Arnold from our Chippenham branch who completed a 21 mile Walk of Life on Saturday 14th May from Devizes to Bath. They were raising awareness and funds for Bath’s Royal United Hospital Cancer Care Unit, and Geriatric Ward. Lisa and Samantha completed the walk in just over seven hours, which was a great achievement considering the warm weather. Well done to them both!